Chicken flavoured chews developed for small dogs and cats. 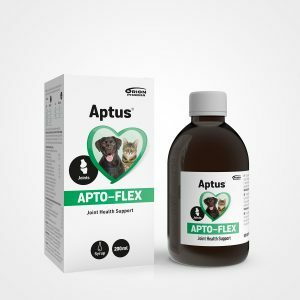 Recommended when your pet shows signs of stiffness, is having trouble getting up after a rest, or is reluctant to walk or play. Give daily as treats or as part of meal. Joint health problems usually develop over a long period of time. That is why we recommend a minimum of three months of use, even though results can usually be seen sooner. It is recommended to double the dose for the initial 4-6 weeks period. If giving more than 1 chew, divide between morning and evening. Always follow your veterinarian’s recommendation. 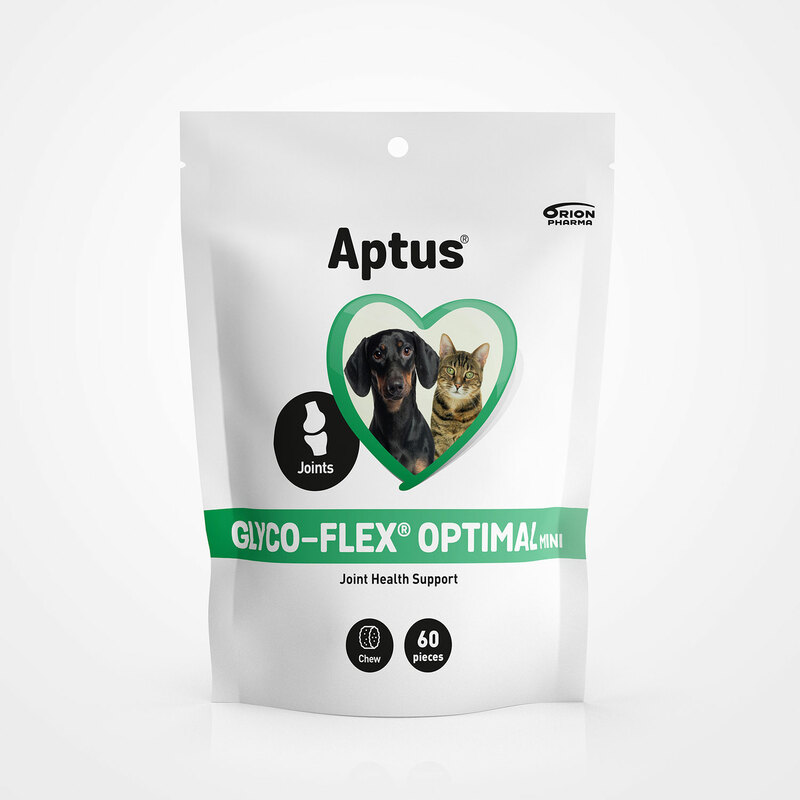 For dogs more than 15 kg use Glyco-Flex Optimal chews. Brewer’s yeast, glycerine, powder cellulose, methylsulfonylmethane (MSM) (8%), glucosamine hydrochloride (8%), safflower oil, green-lipped mussel) (Perna canaliculus) (4%), vegetable-based chicken flavour (1,5 %), dimethylglycine hydrochloride (0,7%), grape seed extract (0,03%), L-glutathione (0,01%). 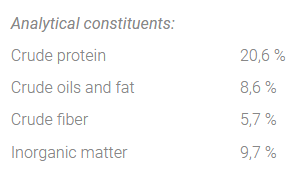 Emulsifiers (soya lecithin), thickeners (maltodextrine, sodium alginate, calcium sulphate), preservatives (propionic acid, natural tocopherols). 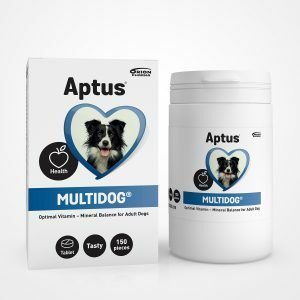 Time-tested ingredients (glucosamine, MSM, green-lipped mussel, and dimethylglycine) combined with vitamins and antioxidants (grape seed extract, glutathione, vitamins E and C), and manganese provide maximum joint health support. Green lipped mussels (Perna canaliculus) found in New Zealand are especially known for their high Omega-3 (EPA and DHA) fatty acid concentration. 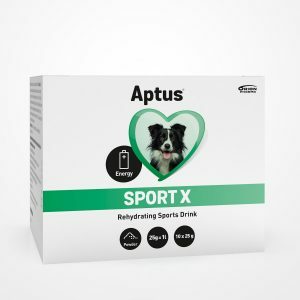 They are a natural source of glucosamine, chondroitin, zinc and magnesium, all beneficial to joint cartilage metabolism. 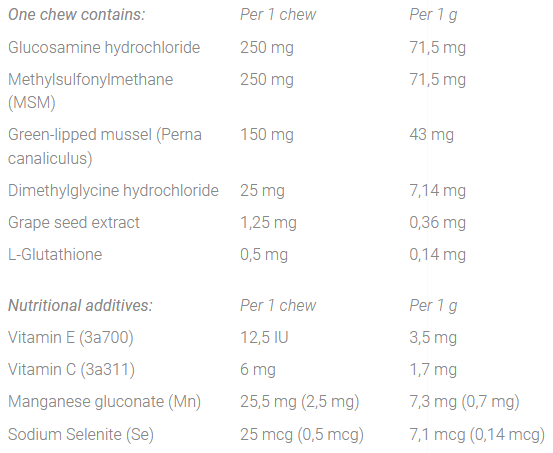 Studies have shown that the mussels also contain glycosaminoglycans (GAGs’) with joint cartilage protective functions, and eicosatetraenoic acid (ETA), which binds the enzyme causing inflammation in the body. Glucosamine regulates collagen synthesis and is a building block of the cartilage matrix. MSM (methylsulphonylmethane) is a building block for cartilage, strengthening and providing elasticity to joint tissues. Dimethylglycine is used for its anti-inflammatory and antioxidative properties. Although the amount of research is still low, positive effects for joint health is reported by (human) users. Grape seed extract has antioxidant and anti-inflammatory effect. According to studies, grape seed extract is safe for pets even though grapes and raisins are toxic for dogs and cats. Glutathione and vitamins E and C are antioxidants, preventing oxidative damage to cells. According to studies, Vitamin C also decreases the incidence of complex regional pain syndrome, which is seen especially after surgeries and in orthopaedic diseases. Manganese is the key component of several enzymes that are involved in cartilage production. Selenium is added for the antioxidative properties.